Don’t waste time raising money the hard way. In this crash course in venture capital, Katherine Hague will prepare you to raise money for your startup using real-life case studies and hands-on interactive exercises. You’ll learn best practices from seasoned entrepreneurs and investors. You’ll save hours of trial and error (and failed pitches) and hit the fundraising trail with confidence. Final presentations will be submitted and evaluated by the instructor. Katherine Hague (@KatherineHague) is a serial entrepreneur, investor, and the founder of Female Funders, an online destination dedicated to inspiring and educating the next generation of female angel investors. She is the author of O’Reilly’s upcoming book, Funded: The Entrepreneur’s Guide to Raising Your First Round. Prior to leading Female Funders, Katherine founded ShopLocket—acquired in 2014 by PCH—the company behind some of your favorite tech brands and accessories. 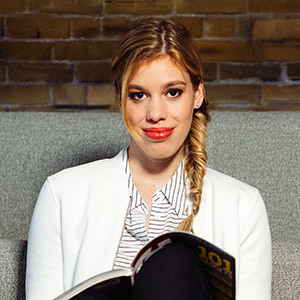 Katherine was recently named one of the Women to Watch in Wearables and has been named one of Canada’s Top 100 Most Powerful Women. She has been quoted in the New York Times on fashion tech and recently interviewed for the Oprah Winfrey Network. Katherine Hague with advice for would-be entrepreneurs. Register now; June 8 is just around the corner. Individual ticket plus the ability to correspond with Katherine Hague for 2 weeks after the course ends. Once you have registered, further details about joining the workshop will be available in your members.oreilly.com account, along with related ebooks and files. After the event concludes, a video of the event will be added to your account.